Ahhh....Back to School. The time of year when the walls are bare waiting to be filled with student work. The supplies are fresh and the students and teachers are energized ready to learn and teach. Quite frankly, it is my absolute favorite time of the school year. I always look forward to getting to know who my students are and what makes them tick. 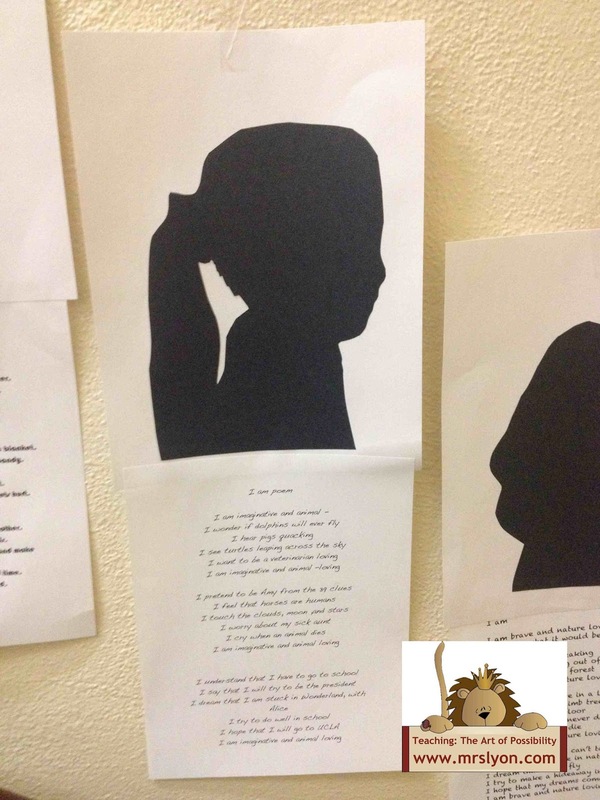 One way I learn about them is through my yearly project of I Am Poems. I didn't create the poem itself but was given a copy of it many many years ago during my first year of teaching. And each year, I look forward to having the students complete it. Plus it always makes for a fabulous first project to hang up each year. First, I always give my students a sample poem I wrote so they understand how the poem is written. We talk about the overall theme of my poem, which is about me being a teacher. As a class, we brainstorm different themes they could write about. They always come up with a ton....being a friend, students, son/daughter, baseball player, volleyball player, etc. The list goes on and on. I always try to make them focus perhaps on a hobby that is important to them. Download the Poem Outline and Sample here. Once the students have identified the "theme" of their poem, they complete their rough draft. This also allows me to catch a glimpse of their overall writing. Once editing is done, I have my students type up their poem with the title "I Am Poem". However, I don't have them put their name on it. 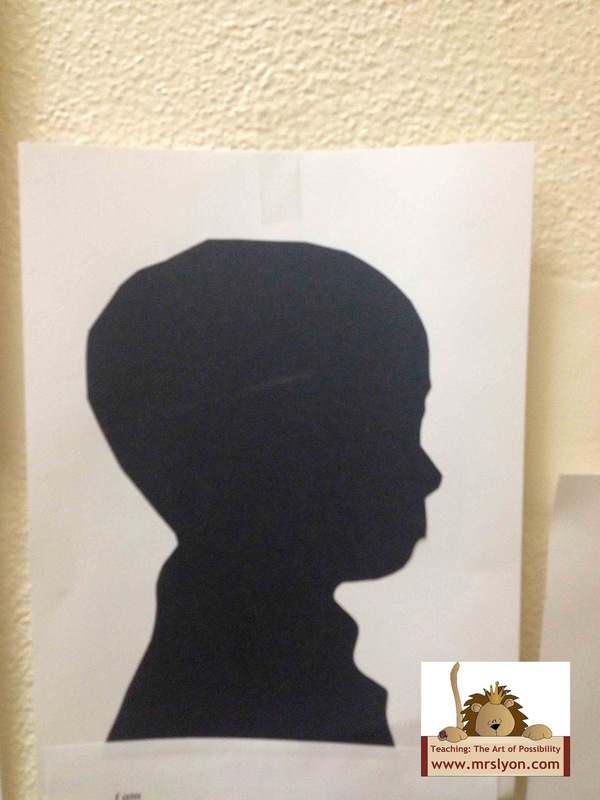 While students are working on their poems, I take a profile picture of each child. 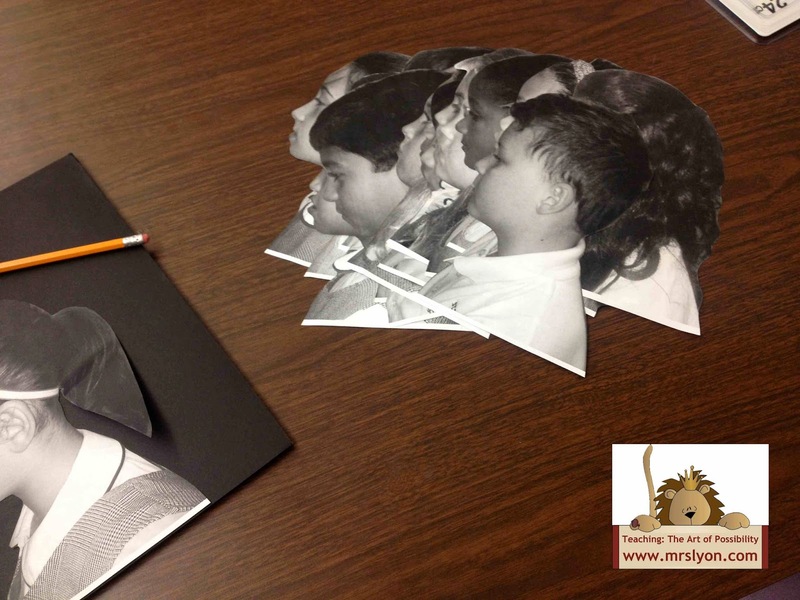 I print the picture out in black and white on 8.5x11 sheets of paper and carefully cut out their profiles. I then trace the profiles onto black construction paper and cut those out. Their shadows are then glued onto white construction paper. In years past, I've actually had the students do all the cutting and tracing. By 5th grade, I think they are pretty good at it. I used to have the students sit in a chair and use my overhead projector light to cast their shadow behind them onto paper which I would trace. But more often than not the students would move and it was difficult. 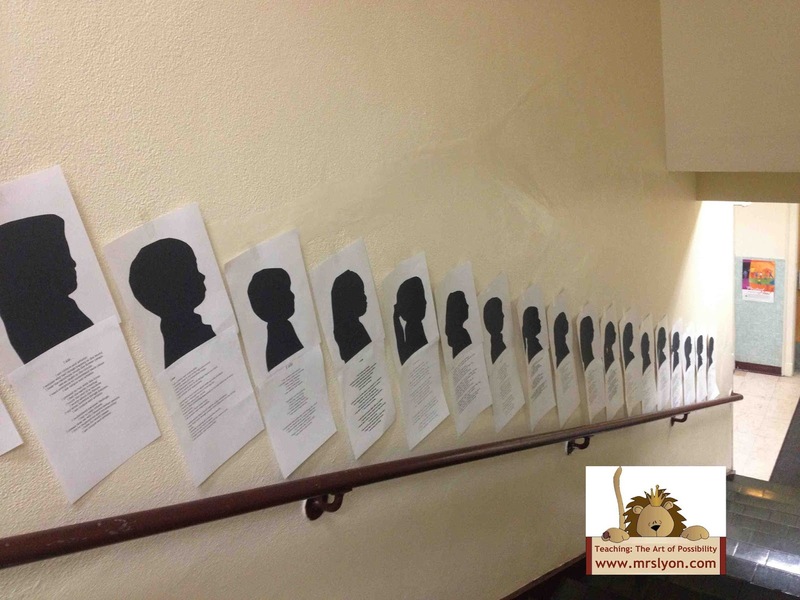 Once the poems are typed, I print them out and we attach them to the bottom of each profile. 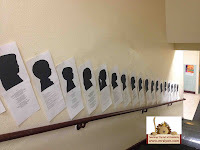 The students love to guess who wrote the poem and look at all the profiles. Many times it's quite easy to figure out who is who by just looking at the shadows! This is one of the first projects I hang up in the hallway in time for Back To School Night. The parents LOVE coming and trying to find their child's work. 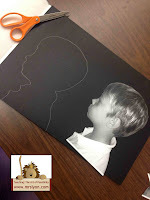 I also snap pictures for their Artsonia portfolio so parents can purchase items if they wish with their child's shadow on them. What Back to School project do you do every year? Share below!